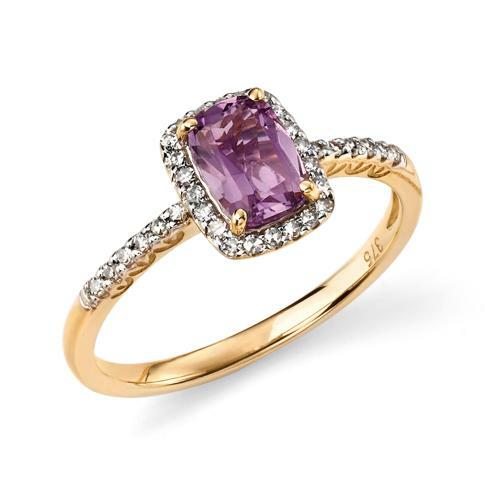 This yellow gold ring features Amethyst in the centre. Surrounded by diamonds to create some extra sparkle its bound to be a show stopper in any occasion. Diamond set shoulders complete the look. Wear alone or with the matching earrings and pendant for a stunning coordinated look.